This shop has been compensated by Collective Bias, Inc. and its advertiser. All opinions are mine alone. #belVitaBackToRoutine #CollectiveBias Running low on energy? Here are 5 easy ways to jump-start your day and start the morning off right! Let’s face it, mornings are stressful. There’s never enough time and we always seem to just make it out the door with milliseconds to spare. And often times it can set a negative tone for the day. Setting a morning routine is still a work in progress over here but I’ve made a little effort doing each one of the 5 steps below to turning our mornings around and making our day start with positive energy. The best thing about my 5 easy ways to jump-start your day? You don’t need to dedicate a ton of time to each step. In as little as 10 minutes, you can create positive change in your stressful day. Studies show that eating breakfast is a great way to set the tone for the rest of the day. 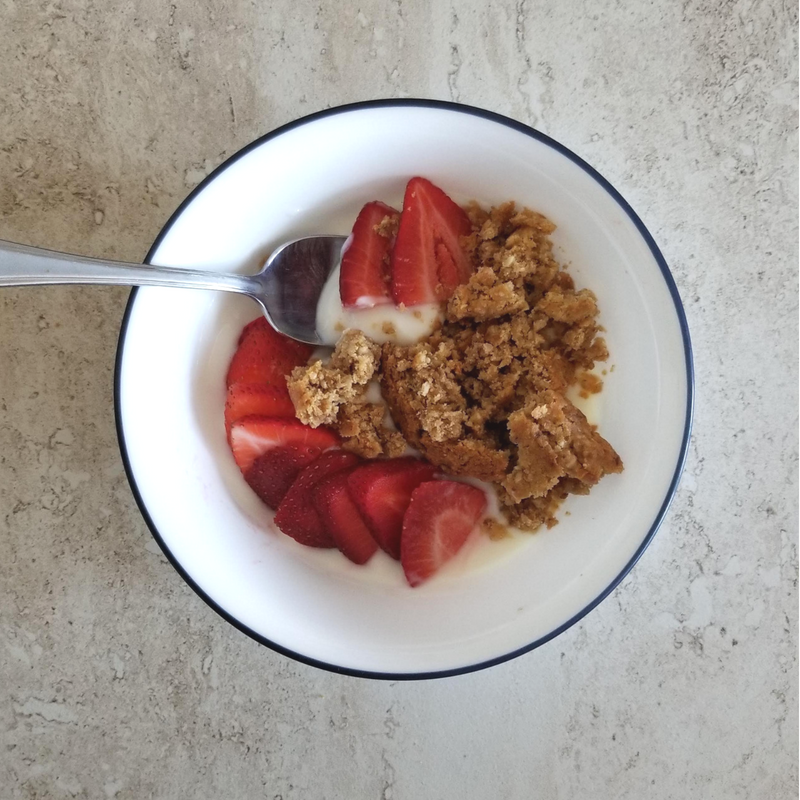 There are so many reasons to eat breakfast, like improved concentration during the morning and a positive impact on managing your body weight. Starting off with a well balanced meal sets the tone for the rest of your meals and snacks throughout your day. 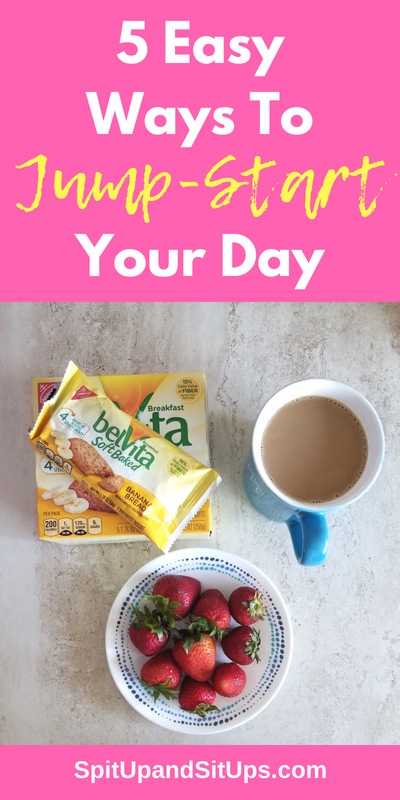 I’ve recently added belVita Breakfast Biscuits to my breakfast of strawberries and coffee with dairy. 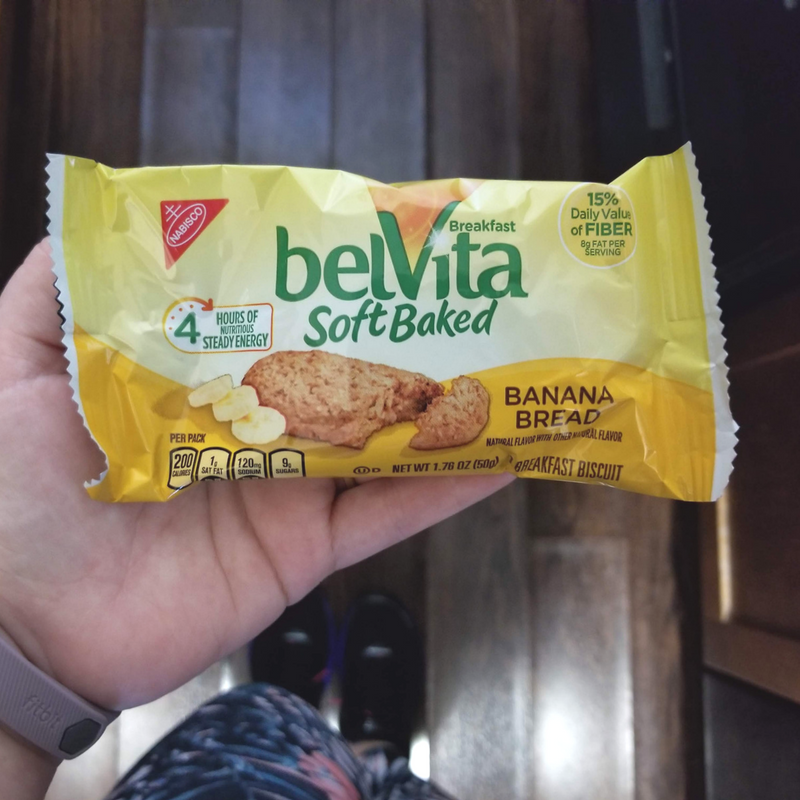 These delicious biscuits allow 4 hours of steady energy to support me throughout my day and 15% of my daily fiber intake. 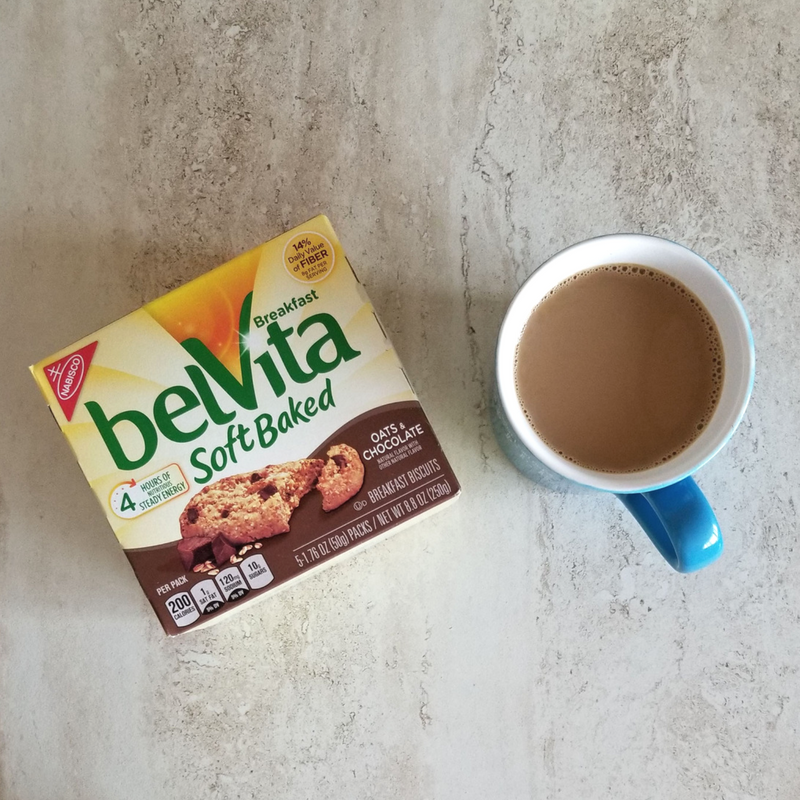 Being on the go most mornings, I love that I can take my belVita Breakfast Biscuits to go to make sure I am getting my day off on the right foot. They’re quick to eat at home or wherever I end up for my first meal of the day. 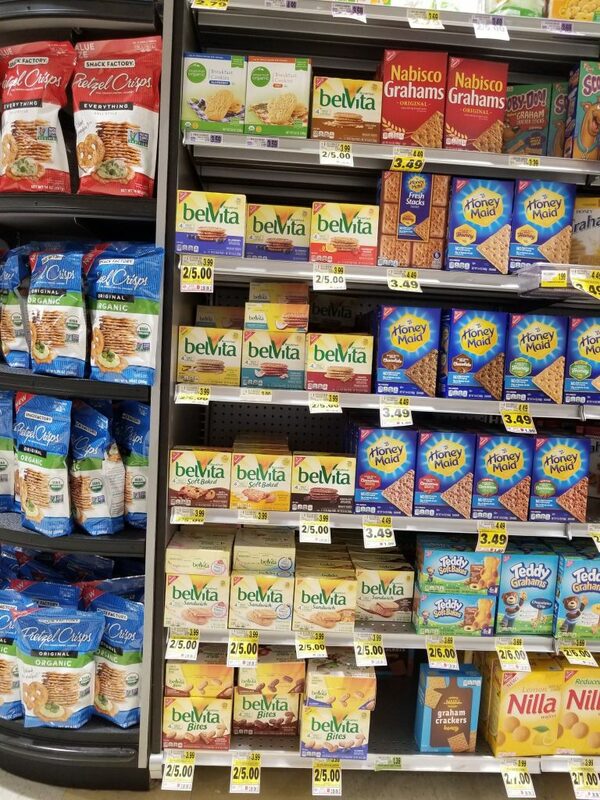 You can find belVita Breakfast Biscuits at your local Harris Teeter! 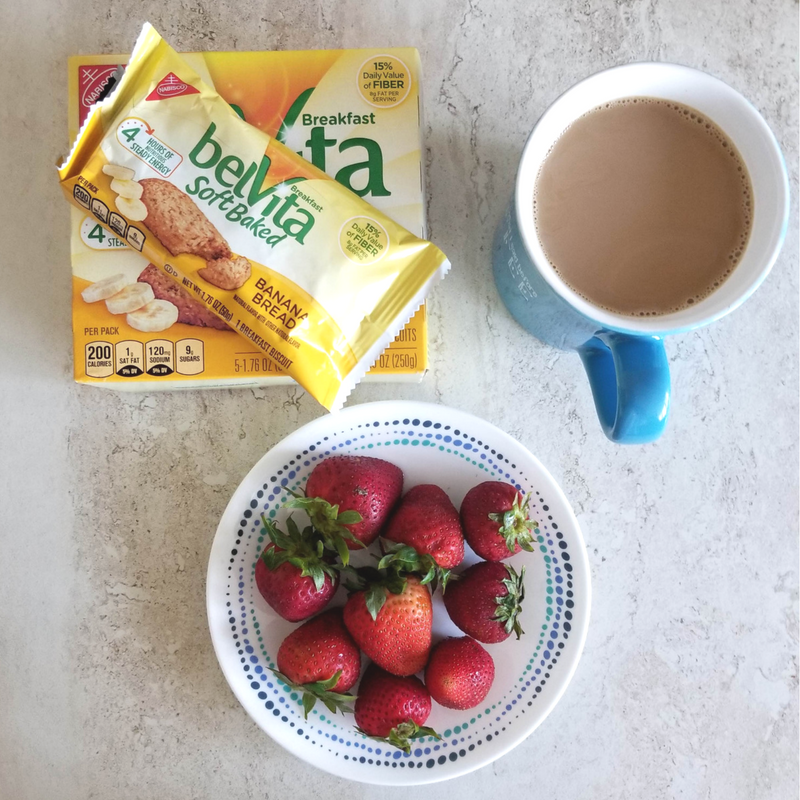 If you’re only going to make one change at a time, adding in a balanced breakfast like belVita Breakfast Biscuits, yogurt and fresh berries is the perfect way to start your day. I was absolutely not a meditating person. How will I even find the time? I realized I didn’t need to devote 30 minutes to meditate. I just wanted to start the day with a clear head so I remained positive for my family. For just 2 minutes before the kids wake up and the chaos of finding shoes begins, I close my eyes and breathe naturally. That’s right, just 2 minutes. If you’re just starting, even 1 minute just to focus on your breathing. Getting low quality sleep that you get between your alarm and your snooze alarm doesn’t help you at all. You could end up feeling super groggy and that’s not a good way to start your jam packed day. The only way I’ve ever been able to start my day is to just wake up. My husband was a serial snoozer and it would start my mornings off poorly! He broke the habit by putting his phone across the room to wake up and start his day. Do you need those extra 15 minutes in the morning and you’re rushing out of the door? Plan to go to bed a little earlier and wake up with your alarm. Whatever your routine is in the mornings, try to do some things the night before. We started preparing lunches the day before and set our coffee maker to automatically brew every morning. While these things didn’t take a lot of time to do in the morning, it was fantastic to have that time to devote to something else, like making sure I eat breakfast or my meditation. I always check our command center calendar to make sure nothing springs on us and everyone is in the know for whatever activity we have planned the next day. When you make your day all about getting the kids ready for school and getting yourself ready for work, you’re beginning your day in the stress zone. Stop this habit and do something for you. Instead of jumping right out of bed, into the shower and onto the 1,572 things you have to do, take some time to read a book for pleasure or exercise. Whatever it is that could make you happy, add it to your mornings. You might need to wake up a little earlier, but if your day is not starting with doing the things you dread or cause you stress you’ll be making a positive impact overall on yourself and family. What does your morning routine look like? How do you jump-start your day to set a positive tone?